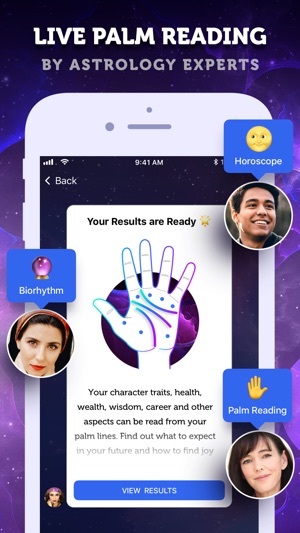 LIVE Palmistry & Horoscope is a powerful astrological tool that helps you look into the future right now! All you need is to take photos of your palms and get extended results on many aspects of your life. You have many questions and unresolved life situations. It's difficult to make right decisions about things that are very important for you. 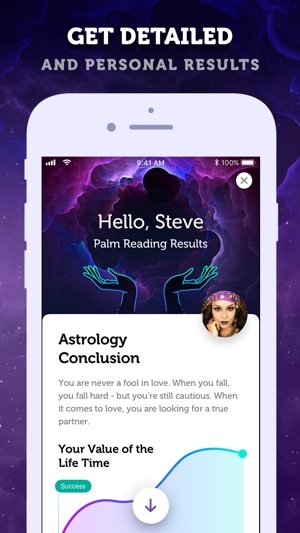 LIVE Palmistry & Horoscope is the only astrological app that provides answers to so many questions you have in stock. Our experts will be happy to read your palm lines and provide detailed and personal reading results. You only need to make photos of both left and right palms, get an expert assigned to you, wait for some time and get notified when the reading is done. 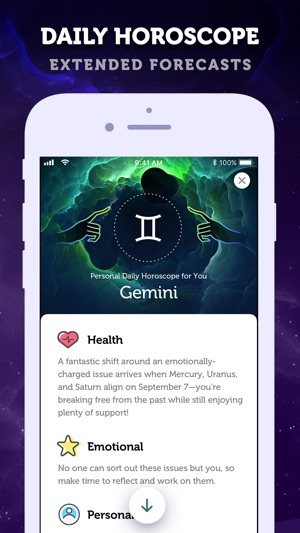 Along with professional palm reading, the app gives you Daily Horoscope forecasts in multiple aspects of your every day life. And that's not it. 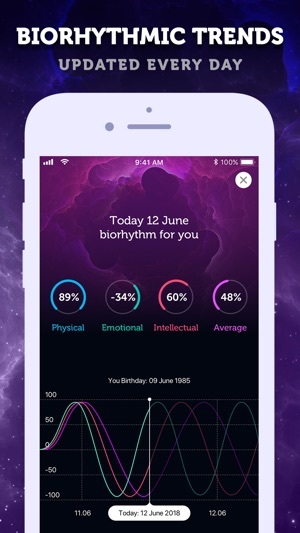 You can check your daily Biorhythmic trends. It's easy to be prepared for your future! This app was decent. There hasn’t been any apps out like this before that were as accurate as this one, however it wasn’t spot on. It took a lot of the answers from my horoscope, which can be great for many people. However, my birthday lies on a cusp, and while I am officially Virgo, I have a tremendous amount of Leo qualities too! And I felt that this wasn’t even considered at all. Also, I have had my palm read in the past by multiple people, as well as I’ve learned the basics myself on how to read palms. For the most part, the app was correct. But there were a few things that I knew my palms didn’t have, but the app mentioned I did. Also for an app of 19,99 a month???? There reaaaalllllyyyyy isn’t much to it. 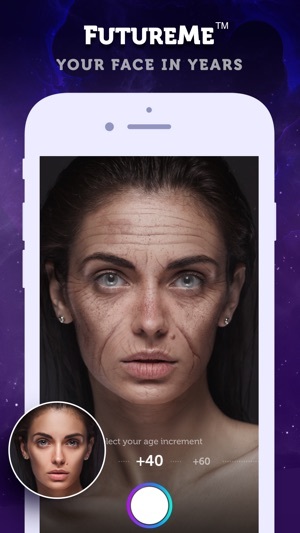 They only do the simple palm reading, and for a high price of an app I would expect there to be a deep reading. 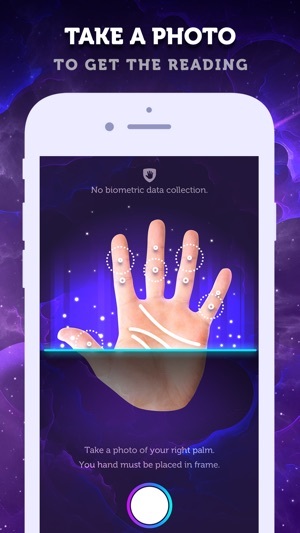 So anyways, it’s not a bad app, and it probably can’t get too much better for a palm reading app simply because it’s not in person. But would I recommend spending 19,99 on it EACH MONTH? Uh. No. I had just downloaded the app, the first thing it asks is my name, I put in a fake name because no, I’m not putting that info into an app I had just bought. Then asked for my date of birth, I put my real one for my horoscope, but it then asked for a picture of my left AND right hand..I skipped it, then was given three things to do, 1, learn my horoscope based off of my sign, not to creepy, but number two really scared me...it gave me a list of how much physical activity I had been doing, which was horrifyingly accurate, my emotion, accurate, intellect, which was accurate, and so on, but then the next option was to see a future me, it wanted a picture of my face, which I didn’t do for obvious reasons, but something came to mind, when it had asked for my left and right hand, before it asked it said it would be sent to a free palm reader, so, if this is true, the app is sending your hands, within your prints, and maybe even your face, to a non paid “palm reader”. It’s really fun at first but you have to think, it’s asking for a lot of personal information.